Noel Hickey remembers the day well. 1997 was the year and the young Dunnamaggin buck was just a promising hurler with a dream of making it. 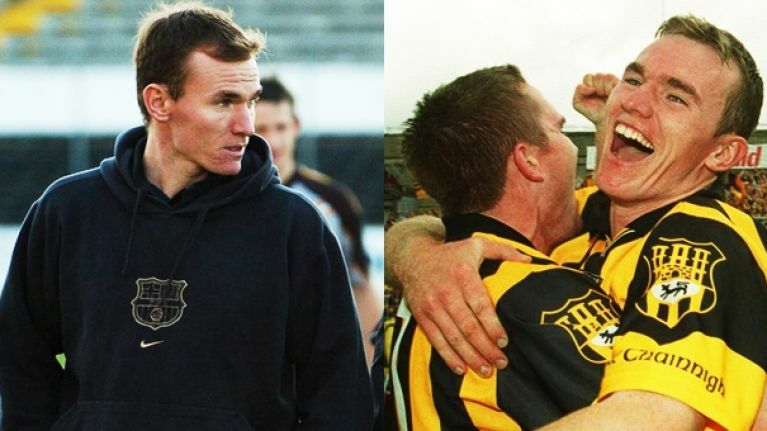 Dunnamaggin were one of the biggest players in the Kilkenny club scene and he looked up to every senior player who wore the green and yellow jersey as if they were the Gods of this world. And then suddenly, having impressed management with his performances for the juveniles, he was called in for his adult debut on county final day. How could he possibly forget it? "I did, yeah, at corner-back," he tells us of that famous day, 19 years ago now. "I was only 16. It probably went over my head a bit. I probably didn’t appreciate it as much as I should have...I was just so young, I went out and played the match and that was it. "I think the first medal I won with Dunnamaggin was 1991. It was a schools match, Roinn B county final. I just progressed up along from that. We had a nice team, we won a Roinn A at minor level..."
"We won that senior final then in 1997. It was only game I played that year and that was my first game at adult level," he adds at the AIB All-Ireland club finals day. That was a good grounding for the inside back man, who went onto represent the Kilkenny minor team in 1997 and 1998, before making it onto the 21s for 99. 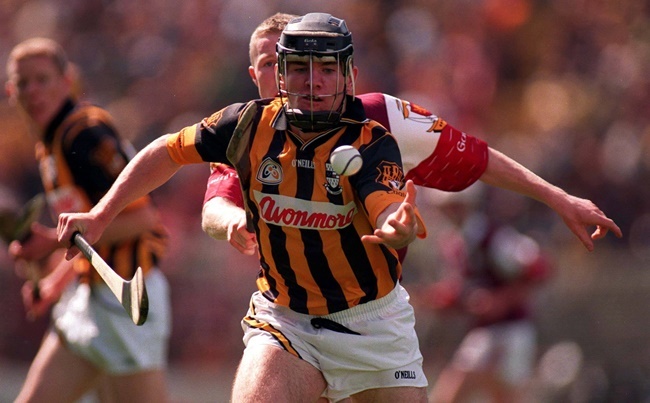 That was a successful time for Hickey, with his club faring well at underage level too - but as their success weaned in the 2000s, Hickey's star took off with Kilkenny. He went onto win nine All-Irelands with the Cats, earning three All-Stars along the way and he's still widely acknowledged as one of the toughest defenders to have ever played the game. "I was happy with what I got out of Kilkenny anyway, it was great times," he says. But it always comes back to Dunnamaggin. "You start with the club and you finish with the club. Whereas you play with Kilkenny, it’s great to win the All-Irelands but you kind of drift away from a lot of players. With the club, you’ll be there in a year’s time, ten year’s time - whatever. Hopefully, we’ll look back on this and it’ll be a day we remember in the parish." "In the 90s, we were successful enough at adult level and underage. In the 2000s, it dropped off a bit." And that's what saw them drop to the junior grade for 2018, but with an All-Ireland crown up for grabs this Sunday and intermediate hurling on the horizon, he's just glad things are looking up for them again. "I was injured for the county final and lads were saying I must have been so disappointed missing it, but to be honest I was actually calm enough. Because if I wasn't playing I was giving a chance to someone else. A lad who was 19 years of age played instead of me. For him to get out there probably meant more to him than it would to me, to get out play in Nowlan Park. I was after doing it a few times. It didn't bother me not playing once Dunnamaggin won that was the main thing. I was getting a buzz from seeing young lads come on at 19 or 20. They're the lads that are driving on Dunnamaggin at the moment," he says. And the fact that the club have a number of players lining out in the black and white of St Kieran's College convinces him that they're here to stay. "Even at the moment on the St. Kieran’s school team, I think there could be six lads on the panel [from Dunnamaggin]. There were maybe five starting on it. 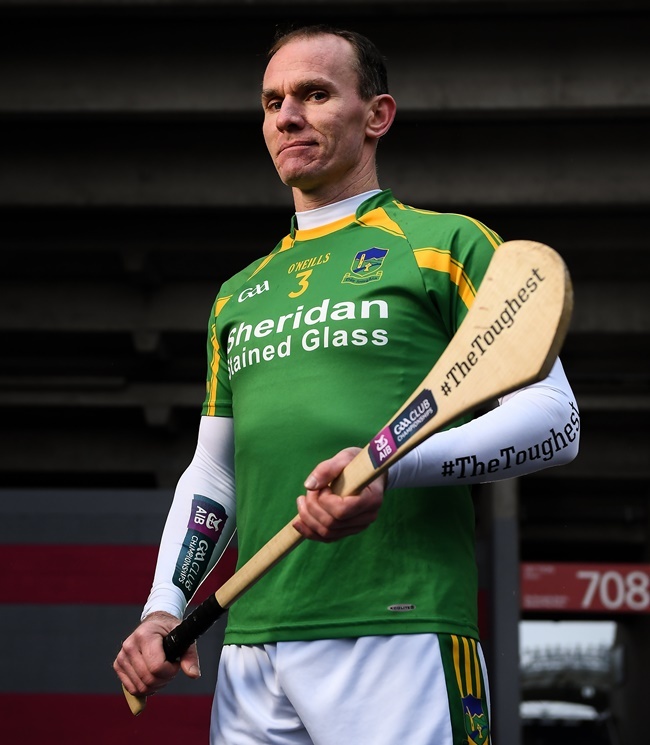 Before, with a parish like Dunnamaggin, if you had one lad on the Kieran’s team, it would have been a good achievement." That's the barometer in Kilkenny. "We had probably six or seven young lads come along who were all good hurlers. They just bring a new energy to the thing. They were after winning a minor Roinn B county final the year before. Even just winning that brought a bit of a buzz," he adds. Whether he'll be back himself for it, he's not yet sure but whenever he does decide to call time, he knows he'll have the best of times to look back on. "I still enjoy training with the team and as long as you enjoy it, keep at it. "There’s young lads coming along in the parish. They might be welcome to it soon enough."